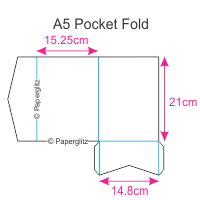 Now you can get your pocket folds that are Made in Australia from local and imported papers. No more expensive freight from overseas, no minimum orders & available in over 60 colours! Our Pocket Folds are all made, packed & shipped from our factory in Sydney, Australia! This pocket fold invitation is made from our beautiful premium metallic soft gold 300gsm card stock from Italy (similar to Curious Metallics Gold Leaf but with less green tinge) and is double sided in colour. All of our A5 Pocket Folds fit into our standard C5 Envelopes, unless bulky decorations are used (sold separately). Be careful if considering similar product from overseas as they are often a different size and obtaining envelopes to fit is difficult and relatively expensive in Australia. 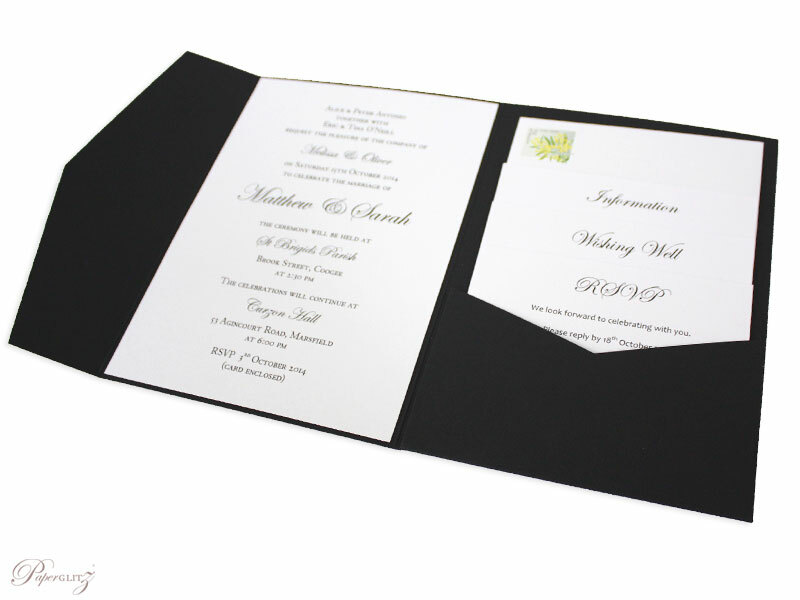 Ours are specifically designed to fit our standard envelopes sizes.